Doesn't the fact that the ship has not made a port call, will not make a port call, for 3 long months indicate non confidence in the effectiveness of the vaccine? I would say - It sure does! The situation on the US Navy Ship Fort McHenry should have sailors asking about the reality vs the logical fallacies/false assumptions of "Herd Immunity". Or vaccines as some mythical guarantor of disease protection? Longer then 3 months quarantined already- Only acknowledged that the ship has not made port all this time due to mumps just a short time ago, after CNN inquired? Mumps outbreak as the Fort McHenry ship stays at sea- Quarantined for months and the quarantine continues..
“A U.S. Navy warship that was deployed to the Persian Gulf has been quarantined at sea for more than two months because of a virus outbreak. In a CNN report via mySanAntonio, 25 sailors and Marines aboard the USS Fort McHenry have been infected with Parotitis, a viral infection similar to the mumps. Sailors aboard the Whidbey Island-class docking ship starting showing symptoms for the first time in December 2018. Viral parotitis is an infection of the saliva glands on either side of the face typically caused by the mumps. Booster shots, which means they were all previously immunized. 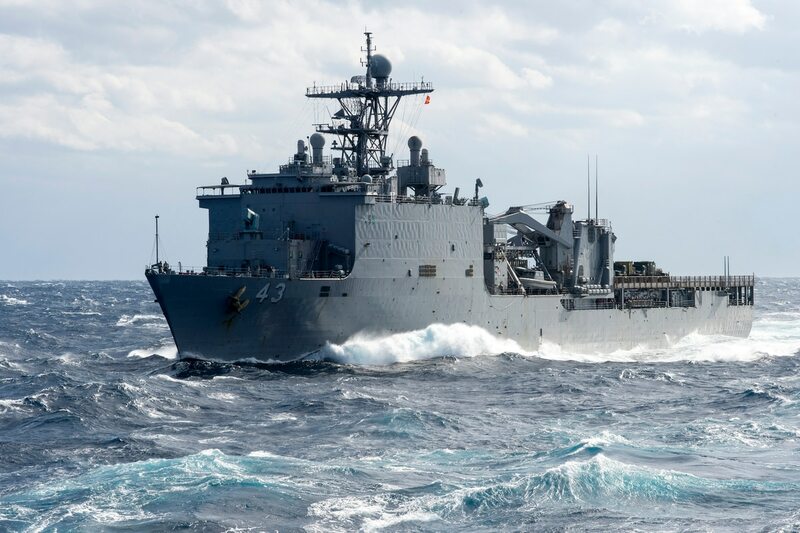 "None of the cases are life-threatening and all have either already made or are expected to make a full recovery,"
For the past three months, the crew of the dock landing ship Fort McHenry has been stuck at sea, avoiding port because of an outbreak of disease. But they don't want to call it a "quarantine" even thought that's exactly what it is! Possibly the last round of vaccinations brought on a new round of infections? According to Vaxopedia, mumps is one of the infectious diseases that members of the US armed forces are vaccinated against when they join a branch of service. The Navy, in an abundance of caution, also gave the more than 700 service members on board booster vaccinations for measles, mumps and rubella, the common triple-vaccine combination. The Fifth Fleet, however, noted that the mumps portion of that vaccine is the least effective, "
It was self evident the service members were 100 percent vaccinated, but I love the admission that the mumps portion of the vaccine is ‘the least effective” Therefore it is very reasonable to question the effectiveness of all vaccines. Because obviously ‘herd immunity’ is a fallacy among 100 percent vaccinated sailors. Today is April 09 and I’ll have to assume that the quarantine that began in December continues. Additionally we should all understand why this news hasn't gotten coverage in among all the vaccine hysteria going on this last little while. It's not flattering for big pharma and the vaccine industry promotion machine. This outbreak demonstrates the potential for rapid spread of influenza A throughout a confined population despite appropriate vaccination. The efficiency of human-to-human transmission is emphasized by the fact that there was no discernible difference in attack rates between various areas of the ship by the end of the outbreak. Although over 95% of the Arkansas crew were appropriately immunized with the 1995-96 influenza vaccine, at least 42% became ill with influenza; when definite and probable cases were included, the attack rate was 54%, for an estimated 46% efficacy of the 1995-96 influenza vaccine against the Wuhan strain. I had measles and chicken pox- Probably mumps but I can't recall with certainty though I know one of my siblings definitely had mumps. Which would mean I was exposed. And here I am today. Amazing! Hi Penny: Great article! When I was a kid mumps was no big deal (I didn't contract them, though some of my high-school friends did and I'd remember if any of them had died). I suppose it has more potential problems for adult males but the long quarantine seems excessive. Makes me wonder if it might be a cover story for something else going on-- maybe that they were being used as lab rats for some new vaccine and couldn't take a chance on the experiment being contaminated by any exposure beyond the vessel itself. "could the ship have been carrying this virus to be used in "The Persian Gulf" and it somehow leaked"
"maybe that they were being used as lab rats for some new vaccine"
I wondered about that possibility as well.. since it wouldn't be anything new, surprising or shocking, but didn't want to get too speculative. The news, as reported, makes vaccines look to be of questionable value- So I ran with that.